by MERKS: Day 255, outfit 255. Today, I'm wearing blue and red. 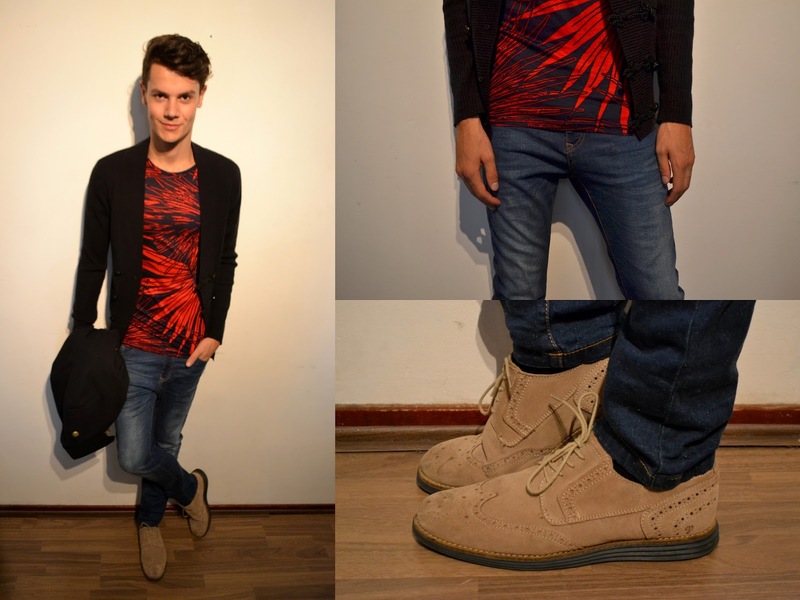 A blue and red Zara tee, combined with a dark blue cardigan and a skinny jeans. The shoes are my cream Valsport's with a blue sole.